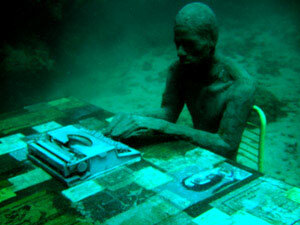 There are certain movements and thoughts which have a timeless quality about these pieces of art. 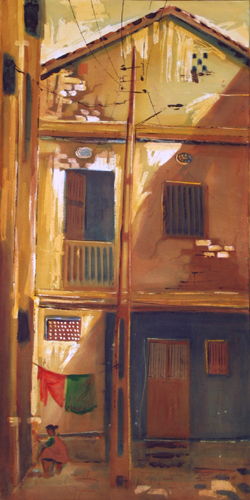 There is one common thread which appears like a recurring motif, and that is ‘bends in a road, paths crossed, corners turned ‘(Sandra Tarantino) which traps life beautifully. 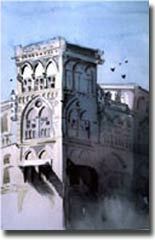 Hemi Bawa was born in India in 1948. Sandra Tarantino was born in Canada in 1973. Hemi creates kiln-fired cast glass sculptures and sculptures of glass with metal, wood, or acrylic. 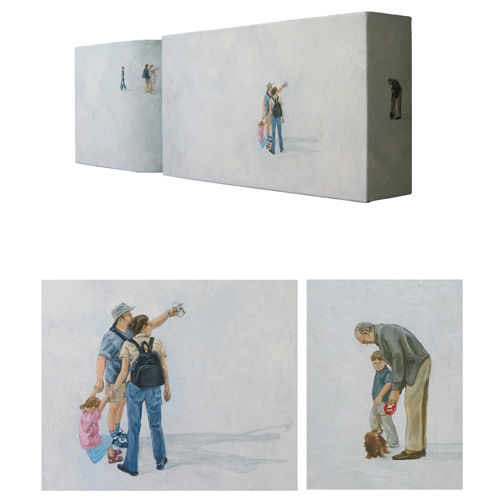 While in Sandra Tarantino‘s works the physical base of shaped forms are constructed out of wood, which are then covered with pre-gessoed and painted canvas. Both are continents apart, generations apart, mediums apart but still make a beautiful connection. I was about to do a post on Hemi Bawa then I saw Sandra Tarantino’s work in an eye for an interior‘s beautiful post ‘expression of art’. I instantly saw a cosmic relation. Boundaries merge when thought process starts travelling! Is it a visual seascape? 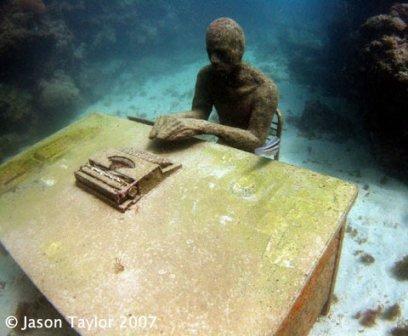 Or drawing attention to ecological processes? 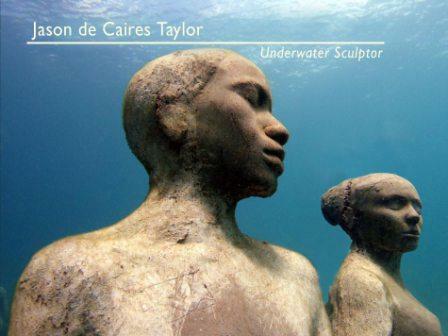 It is a world’s first underwater sculpture park, created by Jason de Caires Taylor. 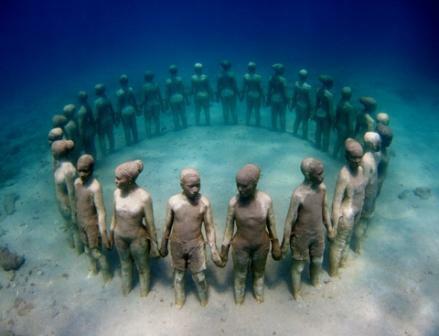 This sculpture park is located on the beautiful island of Grenada in the Caribbean. 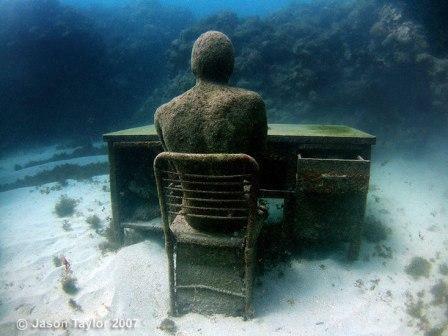 Here, sculptures become artificial reefs which attract marine life as well as human visitors. 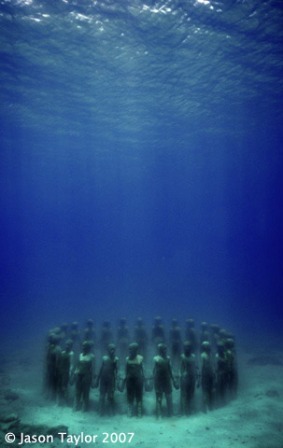 The sculptures are sited in clear shallow waters to afford easy access. it is certainly out of this world! 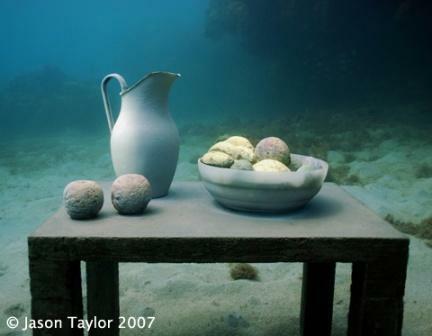 In artist’s views it is hope and recovery and underlines our need to understand and protect the natural world.